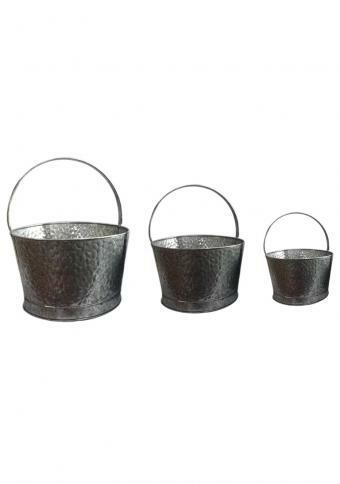 Retro style acid wash galvanised planters pack of 3‚ galvanised buckets‚ are handmade metal buckets of various sizes. These can be used as home decors by planting cute little flower plants to make your place colorful and peaceful. Metal buckets are built with strong iron and finished with acid wash to make free from rust formation. It is available in12X8 / 13X8 / 15/9 inches. We provide free shipping‚ safe and secure payment gateway through our website.